Whether a game is good, bad, or even legendary has little bearing on its ability to perform in the marketplace, unfortunately. Major franchises will always dominate sales charts, regardless of quality (looking at you, Call of Duty), with their heavy-hitting, paint-by-numbers installments regularly quashing out the competition in its entirety. Among these defeated competitors are a grab bag of hidden gems, forgotten sequels, and even a few truly bad games. What unifies these titles, regardless of their differences, is the fact that they entered the world with hope and a chance at success … then launched and bombed, hard. Whether their online lobbies were empty from day one or their release week's sales figures were low enough to be mistaken for a fast-food employee's annual salary, the fact of the matter is that these games never made a meaningful dent on the gaming scene. So, without further ado, get ready to see some of gaming's most painful flops — all of which came out of the gate with a thud. Battleborn was an unfortunate casualty in the hero shooter genre. Releasing on May 3, 2016, the game had just over three weeks to rack up a few sales before Blizzard's behemoth, Overwatch, came in on May 24 and stole every last bit of Battleborn's all but nonexistent thunder. 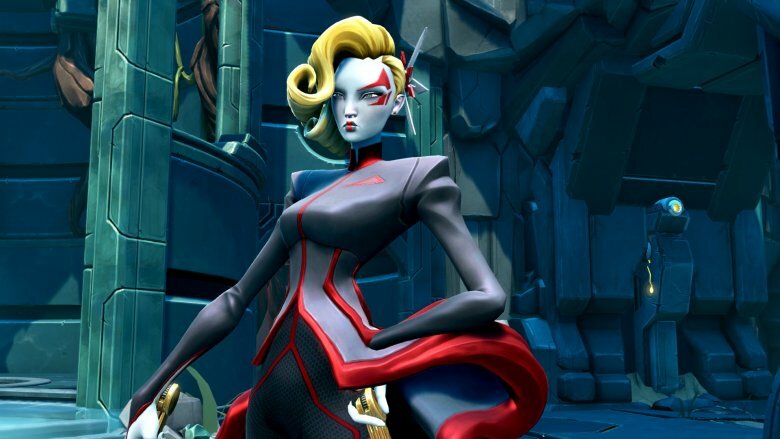 Gearbox's release strategy for Battleborn was suicidal: with less than a month of a gap, Gearbox thought it could go up against a Blizzard release, the likes of which had exponentially more press and hype going for it. This wouldn't have been an issue, per se, if both games weren't competing for a spot in the exact same (at the time) niche genre. Yet, they were, which prompted a classic struggle-for-dominance situation, wherein the top dog (Blizzard) mercilessly crushed the scrappy upstarter (Gearbox) out of existence. On the same week that Battleborn released across all platforms, Blizzard unleashed Overwatch's open beta, the likes of which lured in 9.7 million players globally. Compare that to figures such as Battleborn's all-time high PC player count of 12,000 people, and, well, it's clear that this game was fighting an opponent in an entirely different league. Truth be told, Battleborn never really got a chance to live. Blizzard's beta stunt extinguished Gearbox's flame right out of the gate, and even when Battleborn went free-to-play, it never came close to being within shouting distance of Overwatch's success. 'Tis one of the saddest cases of a death-on-arrival in the medium's history. Much like Battleborn, LawBreakers suffered from a bad case of Overwatch syndrome, which has a 100% infant-hero-shooter mortality rate for all non-Blizzard games. However, Overwatch wasn't LawBreakers' only problem, it was just one of many. Arriving on August 8, 2017, Lawbreakers entered the world stage well after Overwatch had already taken over its genre and target demographic, meaning it didn't even have Battleborn's fighting chance. Worse yet, a completely new competitor, PlayerUnknown's Battlegrounds, had emerged just a few months before LawBreakers' launch. PUBG mercilessly gobbled up all indecisive, money-loaded stragglers looking for a new mainstay game on Steam, meaning LawBreakers, at least on PC, was never going to be able to carve out a corner of the market for itself. It couldn't find footing in its own niche thanks to Overwatch, and whoever else remained was busy playing PUBG. Couple that sorry situation with the fact that the only other platform LawBreakers released on was the PS4 (further limiting its opportunities by not releasing on Xbox One), and the game's lack of traction in the console sphere ensured that LawBreakers would fail across the board, never to be remembered as anything but a dud. 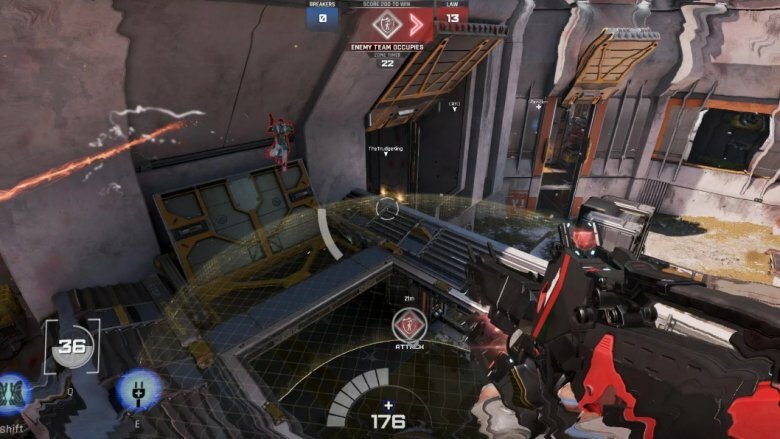 It's a shame LawBreakers went out the way it did, as, by and large, the game really did deserve a shot at stealing away some of the spotlight from Overwatch. It was a different kind of hero shooter, featuring realistic-but-stylized graphics and a far more competitive (and interesting) gameplay slant than its competitors. Had fates conspired differently, this could've been a successful, tournament-spawning shooter. Alas. Metal Gear Survive is one of those rare games that, when it landed with a resounding thud, people applauded. That's right: people actively wanted to see this game fail, something which, by general consensus, it did. The reason for such public animosity towards Metal Gear Survive came as a result of Konami, the game's publisher, partaking in a lot of bad business, both overtly and covertly. In the public sphere, Konami pulled downright embarrassing cash-grab stunts such as charging ten dollars for a save slot, a level of corporate greed that struck a new low with consumers. And, behind the scenes, fans of the series were still seething over Konami's treatment of former Metal Gear visionary Hideo Kojima. Longtime fans saw how the company spat on the man responsible for their beloved franchise, and couldn't fathom supporting the company ever again. 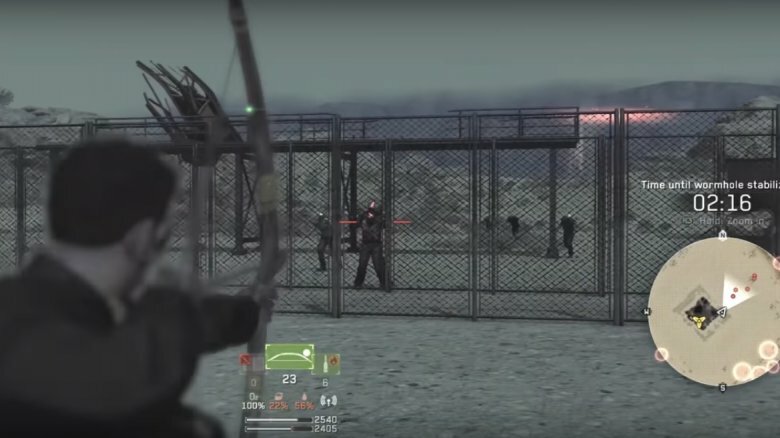 Thus, Konami's Metal Gear Survive was betrayal incarnate, emerging as a generic zombie co-op fighter that lazily lifted assets from the last true Metal Gear game, Metal Gear Solid V. Metal Gear Solid was a series that prided itself on immersive, tactical stealth gameplay and complex, politics-infused lore, both of which were eschewed when Konami forsook both Kojima and the franchise as a whole. This corporate backstabbing spawned Metal Gear Survive, also known as the death knell of a once proud franchise. Given the circumstances, it's easy to see Metal Gear Survive's failure as a message to Konami, one sent directly from the consumers and fans that the company took for granted. Knack, a character known for his granular composition and incapability to launch an interesting franchise, debuted in 2013 as a PS4 launch title. Given that the game was bundled with a lot of PS4 units, actual sales figures of the title were, well, ambiguous. The sequel, however, had no such cover with which to masquerade its success — or, rather, lack thereof. 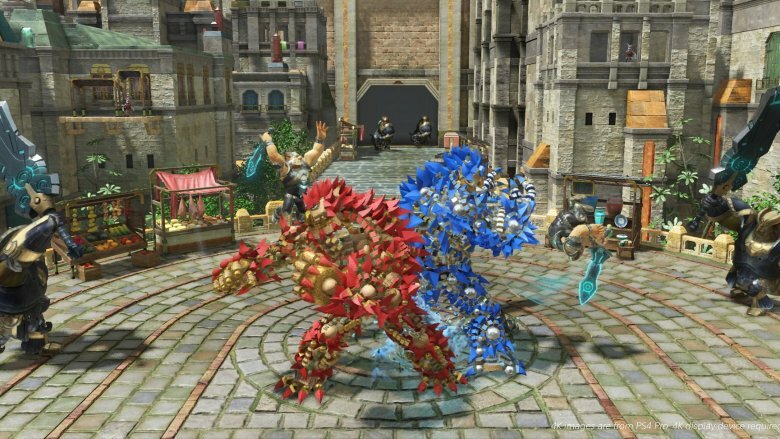 It failed to place on "new release" sales charts upon its launch, and we wouldn't blame you if you weren't even aware up until now that Knack 2 existed. This family-friendly platformer sequel slipped under virtually everyone's radar, due in no small part to its underwhelming predecessor's reputation, as well as its own lackluster quality bar. Seriously, when the biggest piece of advertising a game receives is a Dunkey roast video, that's big cause for worry that the game is destined for obscurity, if not outright infamy. Truthfully, Knack 2 is not a bad game. Not a great game, either, but it's a decent, kid-friendly romp with some light beat-em-up elements and some equally shallow platforming. Not a bad way to get a young one into gaming, but, well, not a good way to convince anyone to stay into gaming. Maybe it's for the better that this title fell off most people's radars almost immediately after arriving. Similarly to Knack 2, Sonic Boom: Rise of Lyric is not a bad kids game, per se. It's just not one you'll remember in T-minus five seconds. Fueled exclusively by mild platforming and mindless button-mashing combat, Rise of Lyric is shallow as heck, blandly repetitive, occasionally infuriating (due to some technical issues), and just far too uninspired for a title carrying the Sonic name brand. 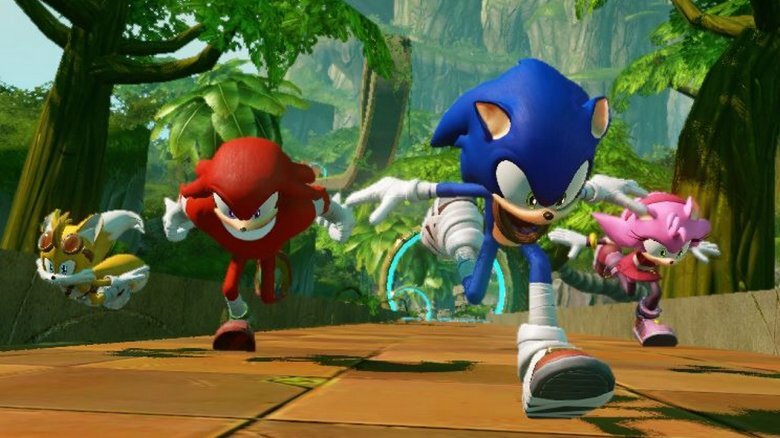 Sonic has an up-and-down history in gaming, but if there's one thing his games are known for, it's taking risks. SEGA has plopped Sonic into landscapes such as The Arabian Nights, an interstellar amusement park, a fictional take on the real world, the realm of King Arthur, you name it. Each game came with unique gameplay elements to accompany its specific setting, and for that reason, each release was an exciting experience. 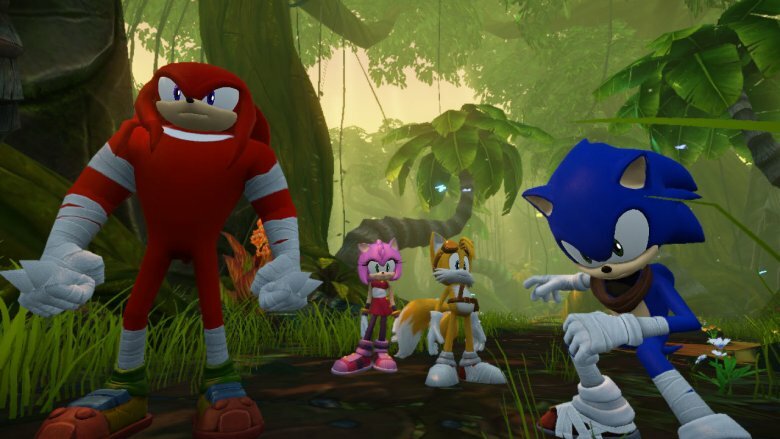 Sonic Boom: Rise of Lyric, however, was simply content to be a less ambitious, less engaging Jak and Daxter ripoff — a fate that makes sense when you consider the studio behind Rise of Lyric was composed of ex-Naughty Dog developers. This shameless mediocrity did not fare well with anyone, hence why the game didn't just land with a thud: it landed with a boom. On a serious note, Sonic Boom managed to be the worst-selling game in Sonic's entire history, between Rise of Lyric on the Wii U and Sonic Boom: Shattered Crystal on the 3DS. For what it's worth, the 3DS counterpart was a fair bit better. Releasing smack-dab in-between the launches of Battlefield 1 and Call of Duty: Infinite Warfare, two franchises with exponentially bigger fanbases, Titanfall 2 never stood a chance. What turns this sorry situation into something far more sinister is the fact that Battlefield 1 and Titanfall 2 were deliberately released within close proximity to each other by the same publisher, EA. This led to compelling speculation that EA sacrificed Titanfall 2 in a bid to oversaturate the market. EA's logic was that, between Battlefield 1 and Titanfall 2, the latter of which shared the exact same sci-fi subgenre as COD: IW, the publisher would be able to steal away the first-person shooter market share from Activision. It was a greedy, vicious move by EA that cannibalized one of the publisher's best recent titles in the name of business strategy — a strategy that resulted in few picking up the critically revered sci-fi shooter. The game's rich online component became a ghost town with alarming speed, thanks almost entirely to its flopped launch, meaning few ever got to experience its pulse-pounding competitive action. Similarly, the lack of buzz around the game meant even those with no interest in multiplayer likely never got around to picking up Titanfall 2 for its exceptional single-player campaign, which contained an abundance of creative set-pieces and robust gameplay gimmicks. 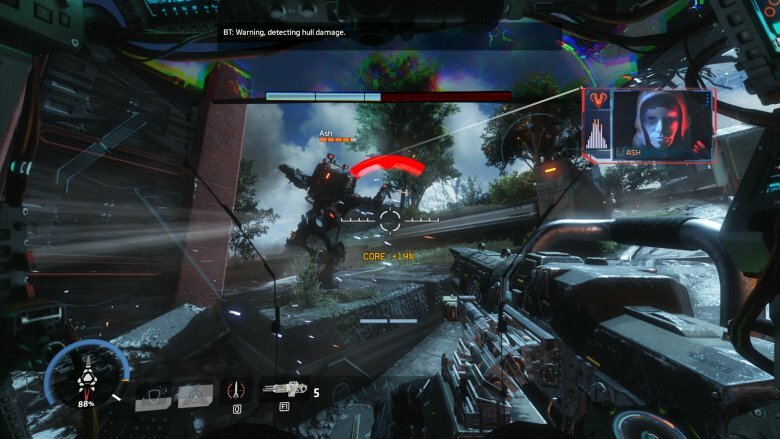 Be it online or offline, then, Titanfall 2 was a stellar sci-fi FPS that no self-respecting action gamer deserved to miss out on — even though so many, many millions of players did. 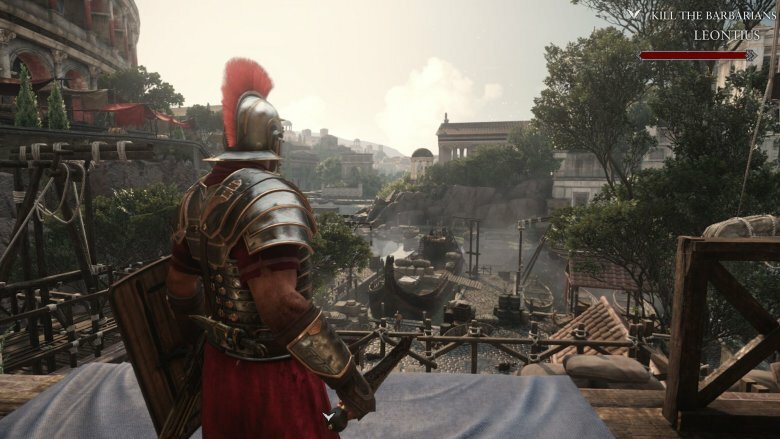 Ryse: Son of Rome was, in a lot of ways, meant to be Microsoft's direct response to Sony's God of War. As an Xbox One launch title, Ryse was to match the Playstation-exclusive God of War in every way: it was to be a magically-slanted, mythology-imbued hack-n'-slash extravaganza, all fueled by a very angry protagonist on a quest to kill anything and everything. And, on the surface, it looked like a worthy competitor. While debates over its quality remain a heated topic on any Xbox One discussion forum, no one can argue that Ryse failed to smash sales on day one. Heck, after day one, it virtually disappeared altogether. A few might say "hey, you remember Ryse?…" when reminiscing about the Xbox One's earliest days, but that's the only time a casual gamer will stop to think of the game, if they even know of its existence in the first place. And that level of irrelevance is unfortunate, as Ryse had a lot of bright spots. Its combat, while formulaic, was gritty and personal, which gave the game a unique intensity. Its graphics, especially in terms of lighting effects, were second to none. And, in addition to a compelling campaign, Ryse also had a super-fun co-op mode. It was a well-rounded package with lots of personality, and it deserved better. Sadly, its sales were bad enough that developer Crytek's CEO openly expressed his disappointment, not long before the studio began collapsing in on itself. The Evil Within 2 had a few major handicaps right out of the gate. First, it had its own publisher's anti-consumer review policy going against it, which prevented the press from raving about the game since they weren't even given copies until a day before said game was set to release unto the masses. Secondly, on a related note, TEW2 had its predecessor's so-so reputation to contend with, the likes of which couldn't be preemptively negated thanks to the aforementioned review policy. 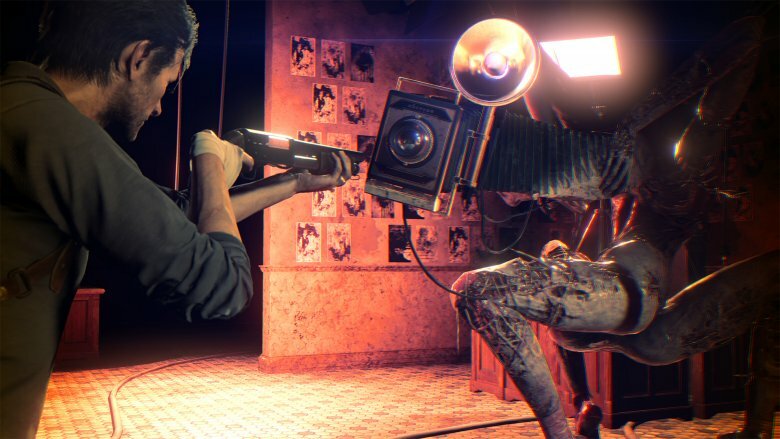 These two factors resulted in virtually no hype preceding the release of The Evil Within 2, a game that was already targeting a very niche audience thanks to its survival horror genre status. This trifecta of marketing deterrents resulted in the perfect storm for The Evil Within 2 to disappear into, causing the horror sequel to fade into irrelevance without much struggle. Is it a shame? Undoubtedly. The game featured some incredibly imaginative horror, such as bosses like Obscura, a grotesque monster with a flashbulb camera for a head that froze time when its bulb was shot. And the characters were creative as well, like one of the game's main antagonists, who paused time to capture violence, as part of his grand artistic vision, the likes of which made for some extremely interesting face-offs. The Evil Within 2 was a survival horror game with brains and imagination going for it, when all was said and done. Sadly, of all the things it had to boast about, effective marketing wasn't one of them. Agents of Mayhem was a weird game that suffered from a bit of an identity crisis: it wasn't keen on being its own new, unique IP, but at the same time, it didn't really do much to cater to the Saints Row crowd, aka the series it was spinning off from. For this reason, it failed to make any sort of noise, coming out of the gate. 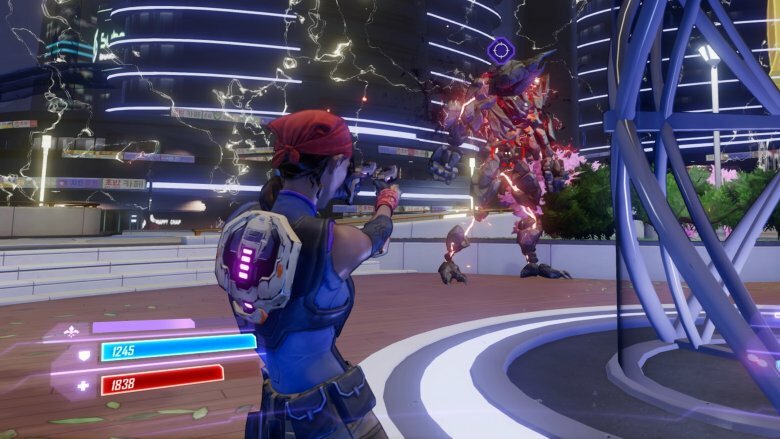 While it went down like a lead balloon, few would go so far as to call Agents of Mayhem a bad game. It was a competent third-person shooter set in an engaging sandbox, featuring some of Saints Row's trademark humor and a decent enough set of core gameplay mechanics. Heck, the setting was pretty cool as well: the game took place in a re-imagining of Seoul, South Korea. That's not something we see very often in gaming, so at least Agents of Mayhem had that going for it. Unfortunately, that was its most unique aspect, as the rest of the game just coasted on blandness. And, as we know, blandness doesn't make a splash in the gaming scene. Releasing in the West on the same day as Fallout: New Vegas, it was a given that Vanquish, a stylized Japanese third-person shooter, wouldn't even make a dent in the North American market at launch. However, as time rolled on, it quickly became clear that Vanquish wasn't destined to be a flop in just one region: it was destined to flop globally. Of all the games on this list, not one deserved a better fate than Vanquish. Vanquish was a superb shooter that combined the high-octane speed of Sonic the Hedgehog, slow-motion style of Bayonetta, and the gritty, cover-based shooting of Gears of War; a combo that resulted in an absolute masterpiece of game design. There wasn't a second of filler in Vanquish's rip-roaring, six-hour campaign. 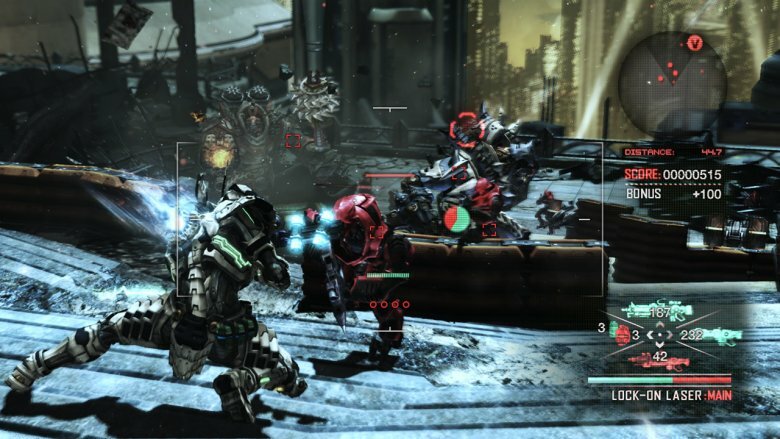 While a few of the gamers and critics who gave Vanquish a whirl criticized it for its short runtime, almost none of them could help but admit how utterly exhilarating the core gameplay was. At any given point in Vanquish, players would be rocket-boosting around on their Iron Man-esque suit's knees, shooting robots' heads off with weapons ranging from basic shotguns to buzz-saw disc launchers. Couple that rock-solid, adrenaline-fueled foundation with some of the most imaginative enemy and environment design in gaming history, and you've got a recipe for one of, if not the, absolute greatest (and most under-loved) third-person shooters ever made. Fortunately, for those who missed it back in the day, it's been re-released on Steam, meaning if you have a PC, you owe it to yourself to experience Vanquish.